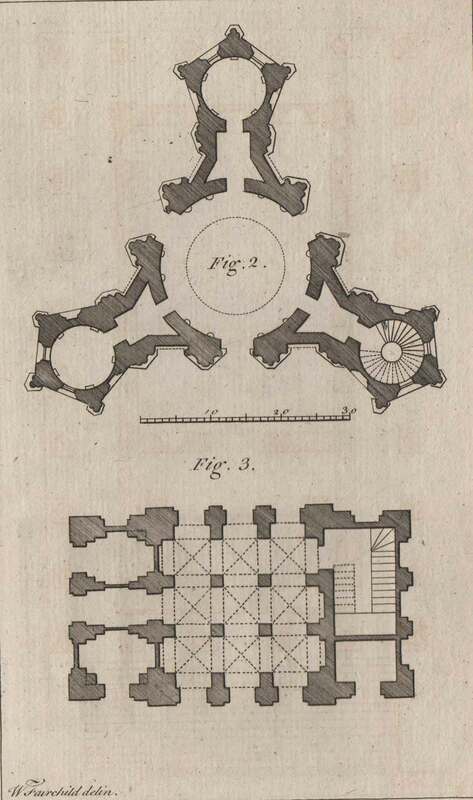 Jocelyn Anderson has described how country-house tourism became increasingly popular in the late 18th and early 19th centuries, and how houses were metaphorically ‘remade’ in order to function as tourist attractions as well as private residences. Country house guide books were also a new phenomena at this time, and in a sense, showed how the interior spaces of country houses were re-presented. She describes guide books as ‘controlling texts’, as they showed the reader how the visit was meant to proceed; but they also empowered visitors, by revealing aspects of how the house was used. The AA Library holds an early guide from 1777, Stowe: a description of the magnificent house and gardens of the Right Honourable Richard Grenville Temple, Earl Temple, Viscount and Baron Cobham … embellished with a general plan of the gardens and also a separate plan of the House and of each building, with perspective views of the same (Buckingham: B. Seeley, 1777). John Harris describes this work as ‘the first comprehensive guide to a house or garden’ of its period. 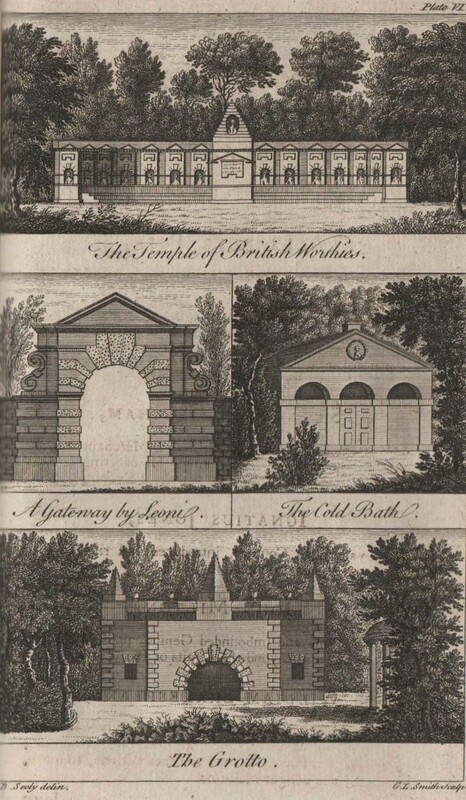 This work was first published by Benton Seeley in 1744 as A description of the gardens of Lord Viscount Cobham, at Stow in Buckinghamshire, followed by several further editions. 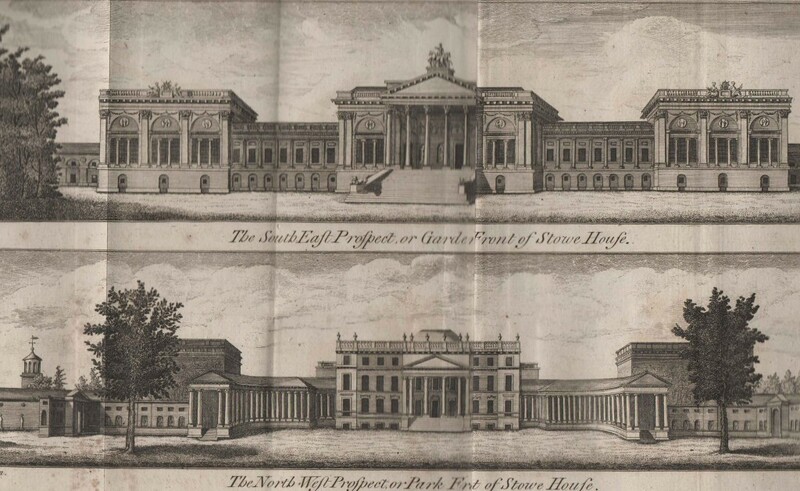 By 1777 when this edition was published, the text had to be revised and plates reworked to reflect changes in the house and garden, particularly the rebuilding of south façade. Benton Seeley was a local bookseller and engraver. 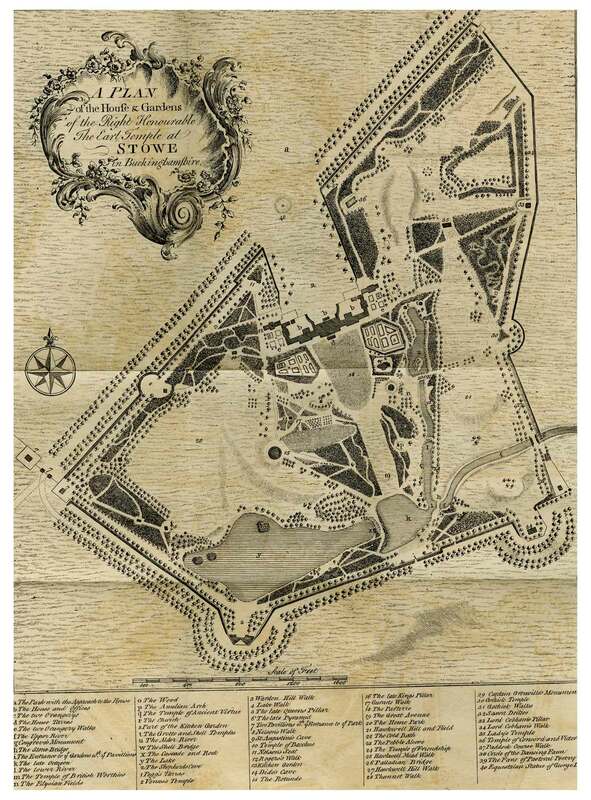 His Stowe guide books did much to spread the influence of Stowe as a model for the English landscape garden; for example, Peter Hayden has shown how the guide books were a source of Catherine the Great’s Park at Tsarskoe Selo, Saint Petersburg. 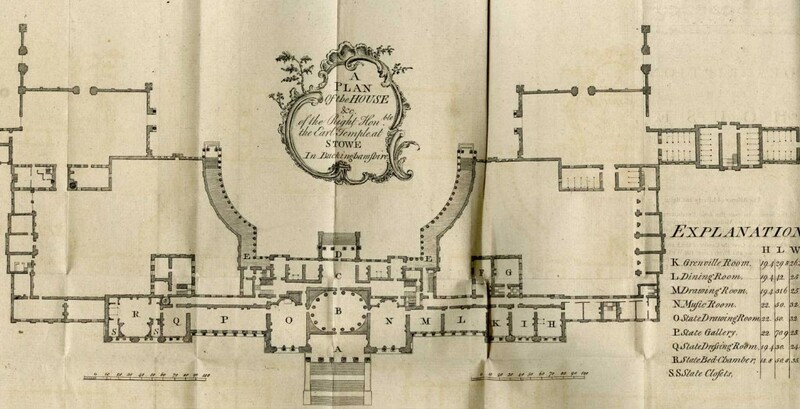 Stowe was considered ‘the most famous, elaborate and visited’ of the garden circuits – like many others, it had two circuits of the garden, one a short circuit designed for walking, the other a long circuit designed for riding and driving. The bulk of Seeley’s book is taken up with a description of the gardens with several views of the monuments, temples and other garden buildings (by 1760 there were over 30 different garden buildings); the last seven pages feature measured plans of them. Many guide books contained plans. This guide offered a plan of the house and garden, and another of just the house, the rooms identified by letters corresponding to accompanying descriptions. Guide books also indicated the timeframe of the visit as rooms identified alphabetically in the 1777 guide have a specific start and end.